Elaine Bernard assembled the collection while researching The Long Distance Feeling: A History of the Telecommunications Worker's Union. The collection consists of records covering the period from the granting of the Victoria and Esquimalt Telephone Company charter in 1880 to 1982 when B.C. Telephone Company employees were laid off without notice. 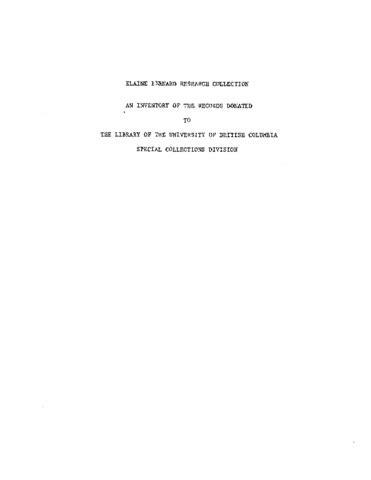 It includes union minutes, arbitration details, correspondence, press clippings, constitutions, agreements, and financial reports relating to the Telecommunications Workers Union of B.C.